As the ADMIRe project reaches its final stages, we were pleased to host a large Research Data Management awareness event on The University of Nottingham’s main campus. The event was the culmination of extensive planning by Laurian Williamson and Research Graduate Services, It was designed so that Heads of Schools and senior Professional Services managers could learn about RDM and the impact this may have on their respective roles. One poignant comment noted that the EPSRC deadline of 2015 is only two years away, so significant progress must be made in all of these areas if RDM is to succeed – both at Nottingham and in the wider research community. Although this represents the final researcher engagement session for ADMIRe, it is not the end of RDM at Nottingham. Plans are in place for sessions such as these to continue throughout the coming years at Nottingham and explore and answer the questions that were raised today. This entry was posted in Funder Requirements, JISCMRD, RDM events, Uncategorized and tagged #jiscmrd, RDM training on June 4, 2013 by tomparsons. Last Thursday we hosted Joy and Sarah from the Digital Curation Centre (DCC) and held two separate RDM awareness events for the UoN community. The first event was for professional services staff (library, IT services, and Research and Graduate Services) who have been identified as key to delivering support to our research community with their research data management queries. The second event was for researchers who were invited to a ‘drop-in’ RDM surgery and clinic. Attendance at the events was very good (65 overall) and the feedback received from participants has been very positive. We initially approached the DCC in August 2012 and asked them if they could provide UoN with RDM support and advice as part of their institutional engagement activity. We knew that the DCC RDM expertise would bring significant benefit to UoN and support us in trying to build RDM capacity, awareness, and skills capability. However, we postponed the event until 2013 as it was felt more appropriate to host such an event once the UoN RDM Policy had been approved by Management Board and we had launched the UoN RDM website. Sarah from the DCC –What are other universities doing to support RDM? Preservation of data – who is responsible for this? Heavy workloads and huge pressures – are we expected to track RDM compliance with funding body requirements? RDM is really up to the researcher – its just good research practice isn’t it? RDM service costs- where does the funding for the infrastructure and additional activities come from? A DMP can help you anticipate a problem before it actually happens! Tomorrow I’ll update this blog with some of the key issues raised by the researchers in the RDM drop-in clinic and surgery. Many thanks to Joy and Sarah for an excellent day and the event really helped raise RDM awareness at our institution. This entry was posted in DCC institutional engagement, JISCMRD and tagged #jiscmrd, RDM training on May 23, 2013 by Laurian Williamson. 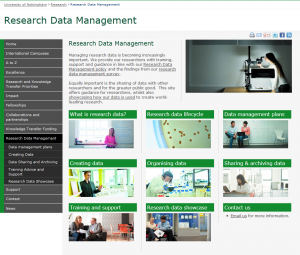 We recently launched the University of Nottingham Research Data Management (RDM) website, which provides a single location for authoritative RDM information and resources for our research community at UoN. This first phase of the development of the website provides both generic and UoN specific information and phase two development (2013 -2014) will include subject-specific RDM information, more content added to the ‘research data showcase’ and the site content will be refined and enhanced based on further feedback and input from the research community and key stakeholders. From the onset we wanted a site that would sit within the UoN research domain and adhere to the UoN brand look & feel. The collaboration with the UoN Web manager was crucial and he was very keen on the idea of creating a RDM website for academics at UoN but also using the site to showcase UoN research data. Creating the site content was a collaborative effort and it took a while to identify key stakeholders and assign responsibility for authoring and ownership of individual pages. Bringing it all together was quite a challenge and we had to delay the launch until the UoN RDM policy was approved. There are 50+ pages on the site and deciding on the site hierarchy was heavily influenced by other RDM sites, specifically the University of Glasgow data management site for researchers, which we thought was an excellent RDM site. In the next few weeks the team will be raising awareness of the RDM site using a variety of internal communication channels, and we welcome any feedback from both the UoN research community and our JiscMRD programme partners. This entry was posted in JISCMRD, Project work, RDM website and tagged #jiscmrd on April 30, 2013 by Laurian Williamson. It was quite timely when I returned to work today that I saw the JiscMRD Evidence blog posting Jisc MRD project materials: use and reuse for RDM training outlining how outputs from the programme are being used and re-used in DCC training events. 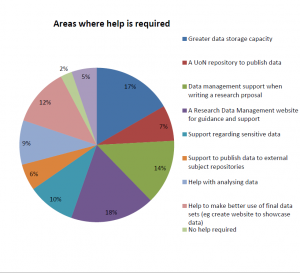 Here at ADMIRe we have adapted, used and re-used the excellent Research Data MANTRA and the Training for Data Management (TraD) supportDM for two different UoN audiences, postgraduate students/early career researchers and support staff (library and IT support). In both instances we have embedded these training resources in Moodle, using valuable outputs from the wider Jisc MRD Programme. We collaborated with the Graduate School during 2012/2013 and adapted and embedded the University of Edinburgh Research Data Management MANTRA online course in Moodle. Christine from the Graduate School did all the technical work in Moodle and I adapted the content of MANTRA for the UoN audience. This standalone online (self-study) online course is delivered entirely online via Moodle and is aimed specifically at postgraduate research students and early career researchers and was made available in April 2013. It now forms part of the UoN short course portfolio and the postgraduate students can gain training points by completing an optional assessment questionnaire (only two questions). The collaboration with the Graduate School worked really well and it is hoped that this ‘RDM’ collaboration will improve RDM capacity and capability at UoN. Last week I embedded the first module of the University of East London (UeL) Training for Data Management (TraD) supportDM course in Moodle, aimed specifically at those involved in research data management support services (at UoN this is currently library staff and IT support). The SupportDM course presumes no prior knowledge of data management or digital curation and is designed for use in a blended learning environment with group meetings and individual tasks to complement the Xerte online elements. It is also suitable for standalone self-directed learning using the Xerte modules. It has been really useful having these high quality training materials available for adaptation and re-use, many thanks to EDINA and Data Library, University of Edinburgh, and the University of East London for making their project outputs available for re-use and adaptation. I recently circulated a brief paper on RDM Training to the head of professional development at UoN – providing an overview of what is currently available nationally and what has been done by the ADMIRe project in the area of online RDM training. This entry was posted in Data Management, JISCMRD, Project work and tagged #jiscmrd, RDM training on April 22, 2013 by Laurian Williamson. The ADMIRe team attended the excellent Jisc Managing Research Data Programme Workshop this week and we presented on our progress made and some of the challenges we have faced thus far around two themes, business cases and plans for sustainability and data repositories, portals and institutional systems. The workshop provided a platform for the JiscMRD projects to consider and reflect on the progress made, highlight successes, and reflect on some of the challenges that still remain when considering RDM, especially within a very complex UK HEI context. Tom’s presented on Data catalogues and data repository and I presented on our work around ADMIRe RDM service models. There was plenty of time to share experiences and in particular how challenging it is trying to deliver and build institutional RDM capacity and capability. The keynote from Professor Geoffrey S. Boulton, University of Edinburgh really made me think about the broader ‘data’ context and in particular that RDM isn’t just about compliance with the data expectations from the funding bodies, we need to remember that researchers want to exploit the growing data resources that are available. This entry was posted in Data Management, JISCMRD, Project work on March 29, 2013 by Laurian Williamson. 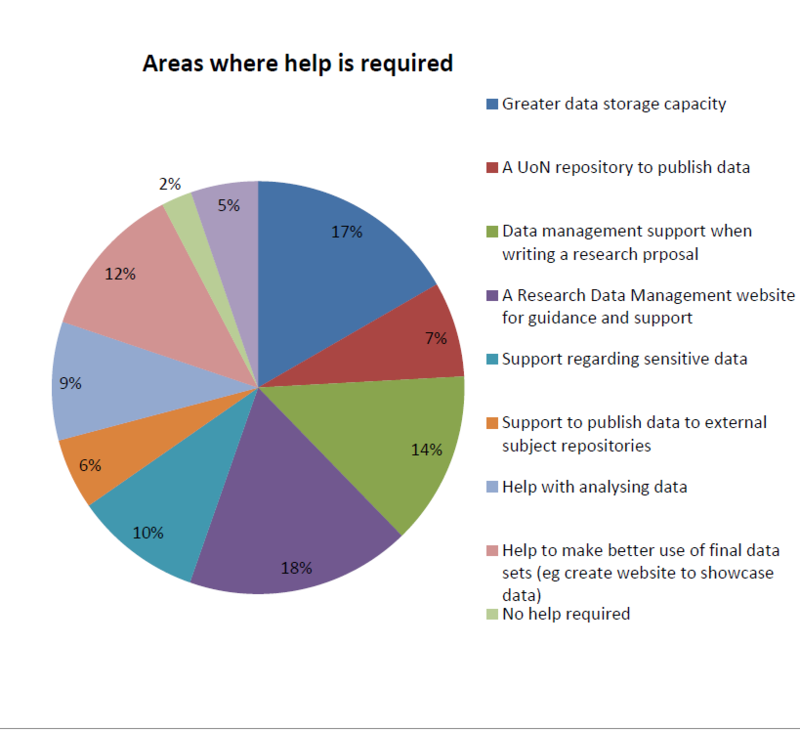 The survey covered several key components of research data management (RDM) practice and provides a benchmark to measure progress against the RCUK principles on data. 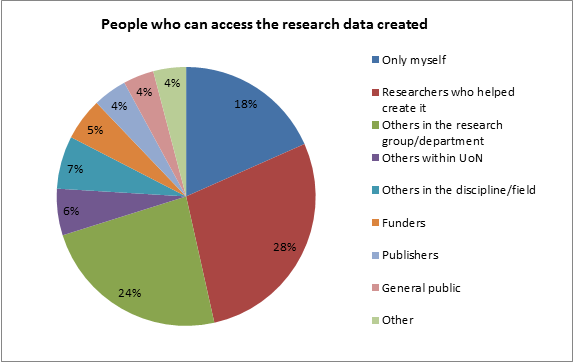 We do hope that the research community and all our Jisc Managing Research Data Programme partners will find something of interest in these results. 3. Raise awareness for the prospective service and gauge interest levels for the proposed service. 4. Identify areas where support, training, and advocacy were required. This entry was posted in Data Management, Funder Requirements, JISCMRD, Project work, RDM survey on February 7, 2013 by Laurian Williamson. As you will see, a lot of the metrics require a sufficient level of maturity and are mainly forward looking – our project is expected to hand over a fledgling RDM service, with minimal metrics collected and provide a baseline for what already exists. This entry was posted in JISCMRD on December 18, 2012 by tomparsons. Data sharing, what are the incentives? Data sharing is a hot topic amongst the scientific community and in some instances sharing research data is a requirement/stipulation of your funding body. This guest blog post is from Dr Marianne Bamkin, Research communications assistant and JoRD Project Officer, from the Centre for Research Communications, University of Nottingham. She explains what JoRD is and describes some of the feedback they have had from researchers on the issue of data sharing. The Journal Research Data Policy Bank (JoRD) project is a JISC funded initiative looking into the feasibility of a service that will collate and summarise journal policies on Research Data in order to provide researchers, managers of research data and other stakeholders with an easy source of reference to understand and comply with these policies. The information held in JoRD would be freely accessible to researchers, publishers and any other interested parties who may want to know whether a journal insists on the inclusion of data in the article, or as supplementary materials to the article, or if the data should be in a certain format or stored in a certain repository. The feasibility study is researching a number of aspects of such a service, f or instance, various business models for funding the service, what publishers and researchers would want from such a service, and most importantly, whether the service would be actively used. From feedback gained through a combination of a focus group, workshop, online questionnaire and interviews it appears that researchers would be very interested in using the resource to choose where to publish and to understand the requirements of journals. The online questionnaire was answered by researchers from all over the globe, representing each academic discipline and 36 different subjects. The predominant opinion that shone through was that all researchers shared their data with someone, although it may only be a research partner, and the vast majority of researchers believed that in today’s internet society data should be freely shared and openly accessed and they were prepared to share their data. That opinion was also reflected by the participants of a focus group. There are qualifications to sharing, the most important to researchers being that of attribution and intellectual property. If they had spent many years gathering the data, they want that effort recognised, not necessarily rewarded, money was not a personal concern, but the acknowledgement for their hard work. Another caveat was expressed that truly raw data are not shareable: quantitative data may have errors, qualitative data may be indecipherable, and data may be confidential and sensitive. Data would therefore need a certain level of processing before sharing. Researchers also felt that there were certain optimum times when they would be willing to share data, for example, doctoral research is required to be unique so any data shared before the thesis is submitted may be used to reach the same conclusions by another researcher, preventing the first researcher’s work to be unique. Publishing the data after the doctoral award would be no problem. This entry was posted in Data Management and tagged #data sharing on December 7, 2012 by Laurian Williamson. The 4th JISC-British Library DataCite Workshop, on December 3rd at the British Library Centre for Conservation, looked at the challenges of citing data that has various versions, granularities or other structural facets that may make citation difficult. Once again, it proved to be a fascinating and well-organised day, and an excellent opportunity to compare notes with practitioners from all over the country who are wrestling with the same problems we have been pondering. When Should I Mint a New DOI? To start us thinking about issues around changes to datasets, we all took part in an exercise answering the question of whether a new DOI should be issued in various scenarios such as changes in access conditions, migration of formats for preservation purposes, and the re-issuing of data in anonymised form following legal action. Although there was a good level of broad consenus in our answers, there was a significant difference of perspective from our first speaker, Roy Lowrie on “Mapping the data publication paradigm onto the operations of the British Oceanographic Data Centre”. From Roy’s data centre perspective, any change that affects the metadata of a dataset will change the checksum in the BODC’s system, and for him, that means that a new DOI should be issued. Although Roy was often in the minority when answering “Yes” to some of the questions as to whether a new DOI was required, by the end of the day I was left feeling that Roy had highlighted a very important issue around the governance of datasets using DOIs. This was the quote of the day, for me: Another theme of Roy’s talk was his fear that DOIs would be handed out without adequate scrutiny of datasets. He feels that obtaining a DOI should represent a mark of quality, indicating the approval of the dataset from the institution managing the DOI. This seems to imply that standards, institutional policies and discipline-specific sign-off procedures are key to managing the assignment of DOIs appropriately. Roy introduced a number of other themes which were developed by other speakers throughout the day. Standardised dictionaries are necessary for nearly every metadata field – otherwise the metadata is often uninterpretable. Larger datasets at the BODC are constantly changing and constantly being refined, and this constant flux means that snapshots of data are in one sense missing the point – but the other hand, versioning and snapshotting datasets becomes increasingly important when they are referenced by researchers. In the data centre paradigm, the dataset is a dynamic entity – so it needs to be pinned down in order to map to its static equivalent in the publication paradigm. Dublin Core is fine for basic metadata, but discipline-specific enhancements to the metadata, using standards like IOS19115, DIF, FGDC and Darwin Core, are often necessary if any sense is to be made of the dataset. The extended metadata can be filtered to Dublin Core using XSLT. The BODC’s approach to granularity uses the concept of the ‘discovery dataset’: systematic groupings of data atoms. From Neil’s experience curating datasets for University of Oxford researchers from a wide range of disciplines, he’s learned that questions such as how to define the appropriate level of granularity, when to version, and how to interpret each metadata field, are very often determined by technical details that are specific to the discipline – and indeed the right answers even vary within the discipline, depending on the research scenario. There just aren’t universal answers to these questions, which implies that a team of experts – librarians and other data curators – have to work together with researchers in order to work out how to define and curate datasets and their metadata. Machine rules to answer these questions are not feasible, in Neil’s view. How, then, should one manage this heterogeneous situation? Neil explained that the philosophy of Bodleian’s approach is to first obtain sufficient metadata to identify and find an object; then archive it; and then continue to work on the metadata. Other interesting points from Neil: Bodleian systems use a key concept of an ‘aggregation’, a collection of versions of datasets; they issue their own UUIDs for everything they hold; the Data Catalogue has almost identical structure to the Data Repository; and increasingly they are finding datasets which actually started out as ‘metadata’ – rich and structured metadata can effectively be a dataset itself, and thus the lines between data and metadata are perhaps becoming blurred in some disciplines. Next up, Rebecca Lawrence from the Faculty of 1000 on “The Publisher’s perspective and the F1000 approach to versioning”. Rebecca introduced the forward-looking policies of the soon-to-be-launched “F1000 Research” peer-review and publication service for biology and medicine. She described the radical new publication model of this new research journal: Immediate publication on submission (within one week, following a very basic check that the article really is scientific); Transparent Peer Review post-publication; and Full Deposition and Sharing of data. Re-iterating a key theme of the day, Rebecca noted that it has generally been assumed that the publisher keeps “the version of record” of a publication – but in reality science moves on in a more continuous way. Some publishers are therefore now exploring versioned articles, where authors can amend their articles post-publication. F1000’s approach has versioning at the heart of its publication and peer-review, using CrossMark as a tool to help with the management of errors and corrections. The review status has even been added to their citation notation (in square brackets as part of the title). This was an inspiring model, for me, addressing some vitally important issues around transparency of peer-review and the speeding-up of the process of open publication. The referencing and versioning structure and the process that Rebecca described looked clear and sensible, and it will be fascinating to see whether this model is taken up more widely in the future. The fluidity of the approach is perhaps best summed up by noting that, in this model, there is never a definitive, finished and final version of a publication: potentially an article could very well receive review comments many years after it was written, and could be amended in response. For our final speaker, a perspective from an actual academic: Simon Coles of the University of Southampton and National Crystallography Service on “DIY DOI: a researcher’s perspective on registering and citing data”. Simon explained from the outset that he wanted to present a challenging and combative perspective, illustrating how many academics feel about the movement towards ‘open data’, and explaining how these issues relate to the actual motivations of academics. Academics, he said, are just about beginning to feel ‘herded’ to open access to ‘their’ data – and most are reacting reluctantly and experiencing it as ‘another stick to be beaten with’. To explain this reaction, Simon pointed out what traditionally motivates academics: promoting oneself, climbing the ladder in terms of research recognition and recognition in the field, beating the competition and coming out on top of one’s peers. Simon noted that journal articles are actually a fairly small proportion of his productivity – he estimates that about 5% of the work he does goes into journal articles. Much of the rest of academic work is often effectively lost to posterity – posters, theses, talks, lectures, reports, etc. Most career academics have huge racks of material in their office, and they are very interested in self-publishing their legacy material before retirement in order to pass on their accumulated knowledge to the next generation. Certainly thought-provoking observations, raising the question of whether a focus on the archival and dissemination of publication-related data may be rather missing the point. Indeed, Simon asserted that there is a general feeling that the vast (and exponentially growing) quantity of unstructured supporting electronic data should not be part of the peer review and publication process. Neil then showed us the reality of publication data in his field of Chemistry, demonstrating a description of information gained from chemical experiments using simple Dublin Core as a base but augmented with chemical information via Qualified Dublin Core. Of course, this practical demonstration of the existing discipline-specific approaches of the Chemistry community to managing and sharing data illustrated again that existing discipline-specific realities determine what makes sense in terms of research metadata. Despite the initial challenging perspective, Neil’s talk became more positive as he demonstrated current practice, saying that chemists are slowly coming round to embedding DOIs into publications, pointing at datasets in institutional repositories. He and others are now starting to aggregate and combine repositories of chemical data, and using mash-ups to combine content. Neil finished by showing off the Labtrove system to enable the archiving and sharing of ‘lab notebook’ experimental metadata. Labtrove is now being introduced into Southampton’s ePrints repository, and they are now able to cite their lab notebooks. Finally, in a good summary of several themes from the day, Neil noted that the policy for the obtaining of DOIs requires an institutional plan, discipline-level decision-making, and a sign off process. Research datasets and publications are generally, in reality, fluid and evolving – they are increasingly being seen as versioned objects, in various contexts. Diversity of material and standards means that librarians have to work closely with academics in order to define appropriate practices and appropriate metadata, as well as to enable appropriate curation of datasets. Discipline-specific standards and extensions to Dublin Core are essential to making datasets re-usable. Institutional policies and discipline-based sign-off are key to managing the assignment of DOIs. There’s no point assigning DOIs to ‘digital garbage’. Question: Should any change to a dataset or to its metadata require a new DOI? This entry was posted in DataCite on December 6, 2012 by markberry. I attended the JISC Research Data Management Training Workshop, which was held on the 26th October 2012. The aim of the workshop was to provide an opportunity for the new JISCMRD Training projects to introduce what they have been doing in their projects and outlining their progress in the area of developing research data management training materials. This strand of projects are producing RDM training materials for the sciences and/or librarians. Here at ADMIRe we have already delivered RDM training sessions for library and IT support staff and are very interested in finding out what others are doing when planning sustainable RDM training for their research community. We have developed a RDM training plan, much of which will need to be sustained beyond the timescale and lifetime of the ADMIRe project. As well as the excellent presentations, the workshop provided plenty of opportunities to discuss challenges, opportunities, benchmarks, and how to make RDM training outputs easy to find and re-usable. A really useful aspect of the day was the involvement of some of the projects from the JISC digital preservation programme, who shared their experiences around developing training resources. In the afternoon we had the opportunity to provide feedback on the Research Information and Digital Literacies Coalition (RIDLs) proposed criteria for describing, reviewing and assessing practice in information literacy training. I found this session really useful, especially when considering how important it is to plan and evaluate courses and resources. The draft criteria are available from here. Big challenges – storage, big data, capacity, preservation, which data will be archived with publication, who will re-use the training material? A really valuable day and ADMIRe are looking forward to seeing and possibly utilising the project outputs once they are made available. 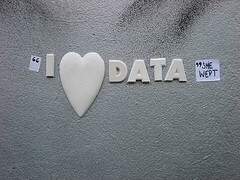 This entry was posted in Data Management and tagged #jiscmrd, RDM training on November 5, 2012 by Laurian Williamson.